Most insurance plan benefits terminate on December 31st. 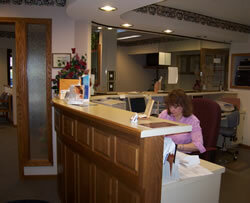 If you need dental treatment, be sure to call for an appointment before your benefits are lost for the year! We accept most insurance plans and submit claims to your insurance company on your behalf---both primary and secondary insurance---if you carry them. It is our office policy to act as an advocate for our patients when dealing with insurance companies. Obviously, we know dental procedures and what is normal practice regarding dental insurance as well as insurance regulations and limitations. Our goal is to represent the best interests of our patients by helping you get the maximum dental benefits to which you are entitled. Some insurance plans send payment to the patient regardless of the assignment of benefits. In these cases, we ask that the patient pay for his or her visit on the date of service. We will still submit claims to insurance on your behalf, will provide additional information if requested by insurance and will intervene for your benefit. Dental insurance is intended to cover some, but usually not all of the cost of your dental care. Most plans include deductibles, coinsurance provisions, and other expenses which must be paid by the patient at the time of service. For more information about insurance, go to our Patient Information booklet and Newsletter. Feel free to call us at (304) 424-6100 or e-mail us at info@BowlingDunnFamilyDentistry.com. Credit Card - We accept MasterCard, Visa and Discover. Pay My Provider through CareCredit. You may also choose the Pre-Payment option for future treatment using any of the options listed above.